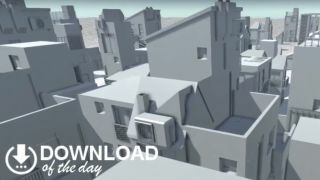 If you’ve played first-person parkour ‘em up Mirror’s Edge, Generative City Free Run’s stark urban style will look familiar. Your mission is to jog and hop around the monochrome tower blocks, hunting for a mysterious red shape. Picking this up will cause the city’s buildings to change around you, providing a new challenge. Track down the red sigil, rinse and repeat. It’s a relaxing way to unwind at the end of the week, and it’s yours free. To start exploring, download and extract the ZIP archive, then run the file City.exe.